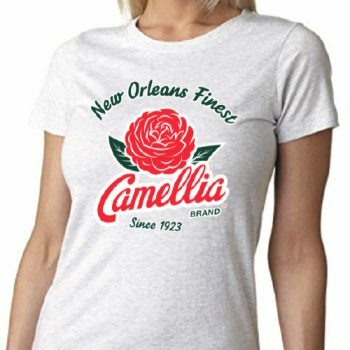 We’ve taken the iconic Camellia logo and put it on what might just become your favorite tee. The tees are in soft knit in heathered shades to perfectly complement your favorite pair of jeans. Ideal for festivals, parades, second lines, crawfish boils, and Mondays.